At ClearBags®, our goal is to always have the bags, boxes, and custom wholesale packaging that you need for your business, no matter what that business may be. Sometimes that means custom packaging, which is why we have an enormous selection of specialty bags, boxes, accessories, and other items that are all created for specific needs. We are committed to being your one stop source for all types of packaging, and are dedicated to creating custom bags, boxes, and other options to make sure that all of your storage, shipping, retail display, and wrapping needs are covered. Book Covers — Clear, durable plastic covers to keep books safe. Archival Albums and Pages — Archival safe albums for your best photos and prints. Dental Bags and Packaging — Sleeves, bags, and covers for the dental industry. SmartSleeves — Our outstanding phone covers. Better than screen protectors. Direct Mail Bags — Bags and sleeves for all of your direct mail marketing needs. We also have CD and DVD holders, photo booth sleeves, tools like hand sealers and tape guns, photo mounts and so much more. All of our specialty products were made with the consumer in mind, and can be found at very affordable wholesale and discount pricing. Check out all of the items we have below, or let us know if you need help finding the bags, sleeves, boxes, and other forms of packaging for your industry. Recommended for a single Lee or A7 size envelope and card. 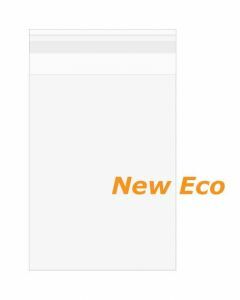 ClearBags NEW line of Premium Eco Clear Bags are Clearer, Stronger, and more Crease Resistant. Made from plants and compostable. 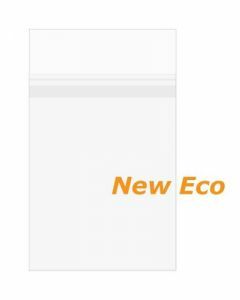 Use these new Premium Eco Clear Bags when you want the characteristics of a traditional Poly bag but the sustainability of an Eco-Friendly product. Food Safe and Heat Sealable. Not Archival Quality. 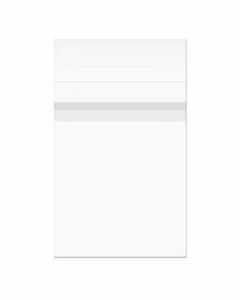 Get a crisp, professional look for stationery products with this crystal clear card sleeve. 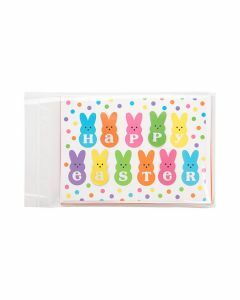 The B5N9 bag measures 5 15/16" x 7 3/4" and is ideal for a set of 12 Linwood, Lee, or A7 size envelopes and cards. This bag is also an easy packaging solution for art, candy, and crafts. An adhesive strip is on the bag flap. Just insert, peel, and seal.